The vineyard soils are a mix of clay and limestone. Small, sweet, concentrated fruit from low-yielding vineyards grown in the Marsala DOC zone are picked at the end of September. 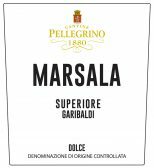 The fully fermented wine is fortified with grape spirit (distilled Marsala wine) and sweetened with boiled down must. The wine is aged more than one year in oak casks.